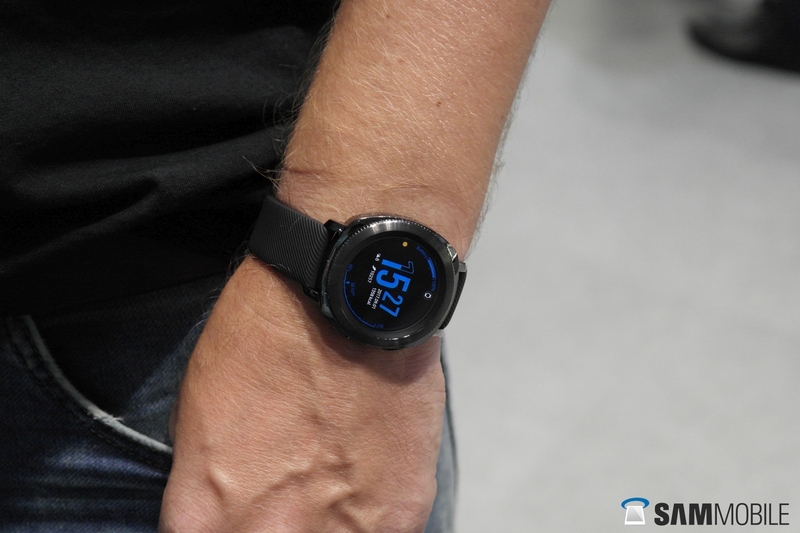 Earlier this week, Samsung took to the stage in Berlin to unveil its latest smartwatch, the Gear Sport. Since then, a number of news outlets have shared their experiences with the device, comparing it to the Gear S3 classic and Gear S3 frontier—but we aren’t going to go down that route. Why? Because it isn’t supposed to be a timepiece that can compete with the Gear S3 classic and Gear S3 frontier; Samsung didn’t enlist the help of any esteemed watch designers when creating it. 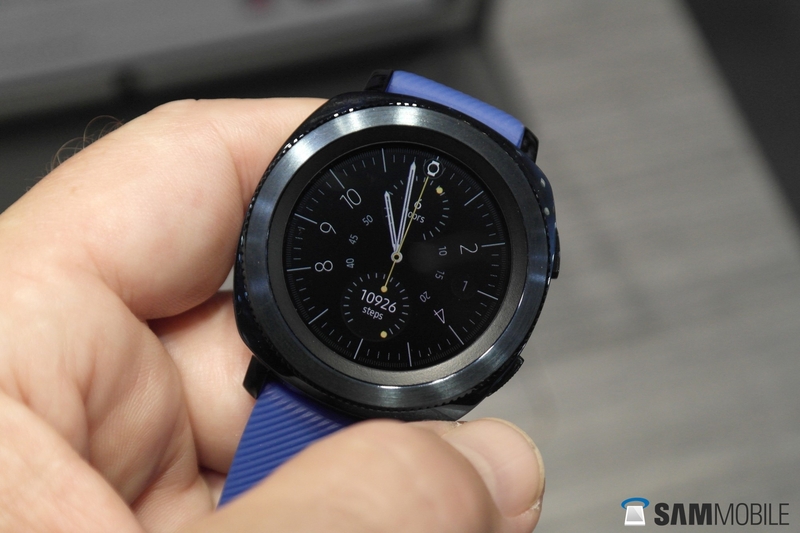 The Gear Sport is, instead, a Gear Fit2 Pro that has been treated to a watch-like design. That’s it. Let’s not forget that the Gear S3 classic was created for the typical businessman who’s in the market for a traditional-looking timepiece with some added features, while the Gear S3 frontier is aimed towards those in need of a more durable variant that can withstand the odd knock and bump. But neither unit is designed for fitness-tracking. Sure, they ship with a version of S Health that records steps—among other things—but that’s a mere drop in the water when compared to a watch-based fitness tracker like the immensely-popular Apple Watch Sport. The Gear Sport was created to fill that void. Heavily influenced by the design of the Gear S2, the Gear Sport features a 1.2-inch Super AMOLED display, a 1GHz Exynos 3250 dual-core processor, 768MB of RAM, 4GB of internal storage and a 300mAh battery. It’s also equipped with built-in GPS as standard and a slew of unique watch faces. 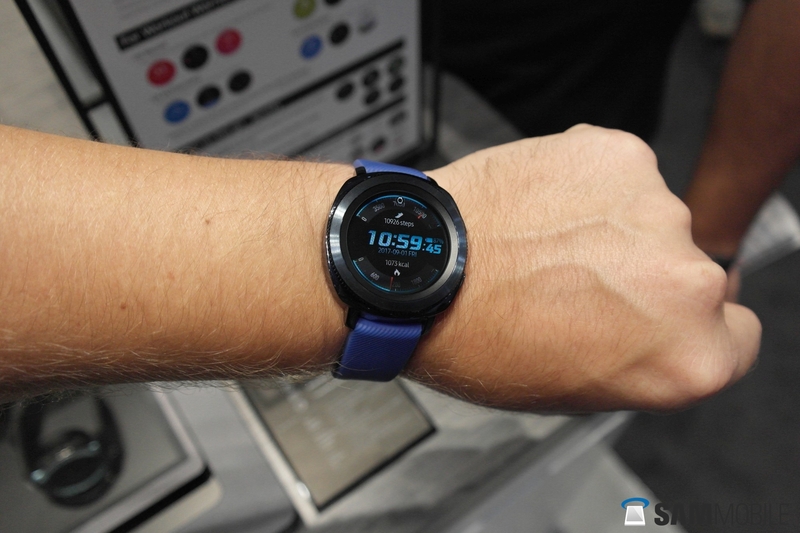 The pièce de résistance, according to Samsung, is the Gear Sport’s water resistance: Apparently, the device can be submerged in water (5 ATM) for around two-hours, which is more than enough time to swim two-hundred lengths at a somewhat respectable speed. When the Gear Sport hits the shelves in the not-too-distant future, it will be available with two different color straps—black and blue—though if you’re after something a little more exotic, you can switch them out for any standard 20mm watch strap. To be completely honest, we can’t fault the Gear Sport. It’s a fantastic device. That said, we only used it for a couple of hours before writing this piece. We’re sure once we play around with it a little more, we’ll develop some qualms—so be sure to stay tuned for our full review.